Determine the textile to water resistance and bears perspiration color fastness. 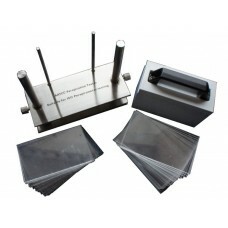 This instrument provides 1 stainless steel sample frame, may hold 20 10cm×4cm test specimens. Equipped with BS,ISO and the AATCC propylene nitrite separator inserter. Provides BS, ISO and the AATCC standard, presses the heavy item, request to use high accuracy drying oven.